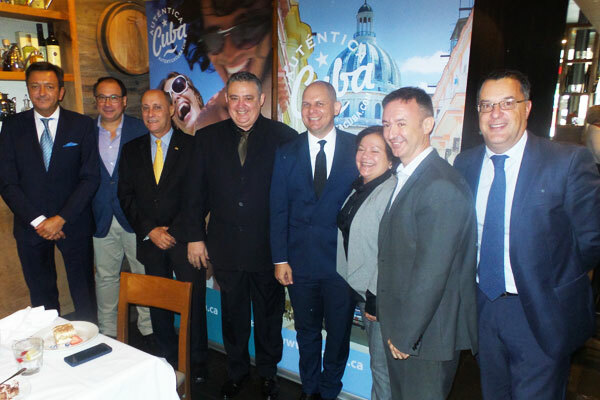 Gaviota’s vice-president of marketing Frank Pais Oltuski Rodriguez told a Monday Toronto audience that developments for the Cuban tourism powerhouse include the just-opened 321-room Iberostar Grand Hotel Packard, which Gaviota says provides a “new standard of luxury” in Havana. The building itself dates back to 1911 but the now-Iberostar property underwent a major renovation prior to its opening. And Pais Oltuski Rodriguez added that Gaviota now has over 30,000 rooms throughout the country, representing almost half of the entire Cuban room inventory. Gaviota is growing at a rate of more than 12% a year and plans call for the addition of 7,000 more rooms before 2025 as demand for Cuban hotel rooms grows. Other developments cited by Pais Oltuski Rodriguez include the continuing rollout of WiFi in all areas of its Santa Maria Hotels and WiFi’s eventual extension to all Gaviota properties. Hotel brands falling under the Gaviota banner include Melia, Iberostar, BlueDiamond, Valentin Hotels, Kempinski, Banyan Tree, Sercotel, MGM Muthu and Accor. Tourism officials report that hotels that were forced to undertake post-Irma repairs used the opportunity to upgrade. “Two months later, everything was fine,” Rafael Villanueva of BlueDiamond Resorts’ Cuban operation said of the recovery. Pictured are Xavier Destribats, Kempinski’s chief operating officer for the Americas; Villanueva; Pais Oltuski Rodriguez; Carlos Latuff Carmenate, Gaviota’s chief executive; Govea; Mariela Zaldivar and Luis Jimenez Ayala of Iberostar; and Marti Aragones of Melia Cuba.